From the beginning, the show has been a tale of families lost and found. 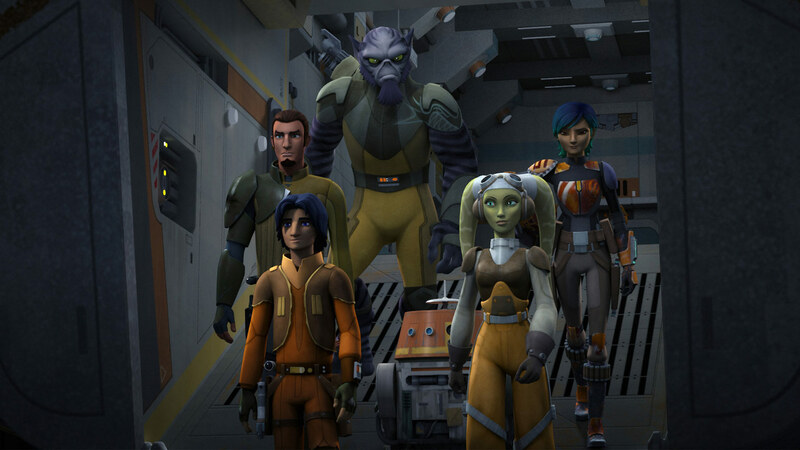 The crew of the Ghost in Star Wars Rebels has always been a family. They aren’t related to one another and they didn’t come from the same home worlds, but they are bound together by a common cause, respect, trust, and love. Like all families they fight. They bicker. They keep secrets from and confide in one another. They ask for help. And they risk their lives to keep each other safe time and time again. 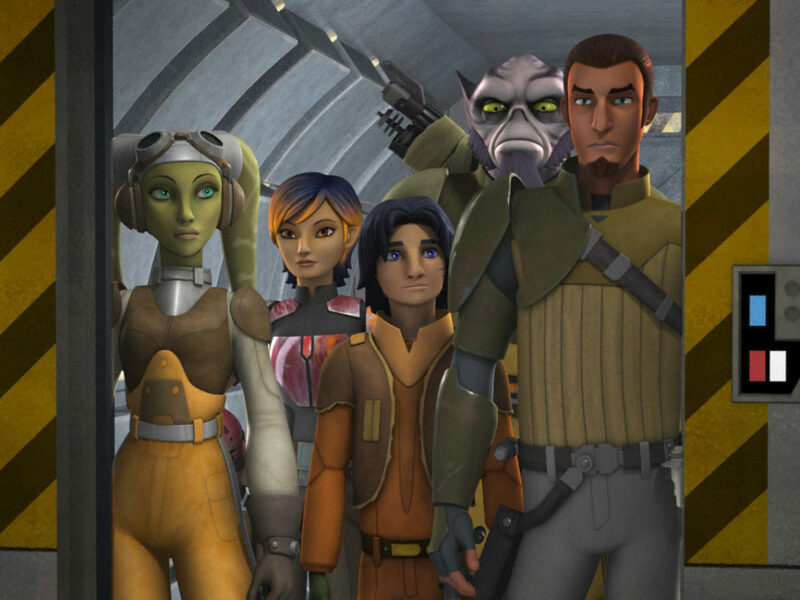 Even though they mostly stick together in Rebels storylines, Ezra, Kanan, Hera, Zeb, and Sabine have also had to confront their individual pasts to be able to come back to their Ghost family stronger than ever. With the final episodes of Star Wars Rebels airing tonight, starting at 8:30 p.m. ET/PT on Disney XD, here’s a look at how they became a true Star Wars family. 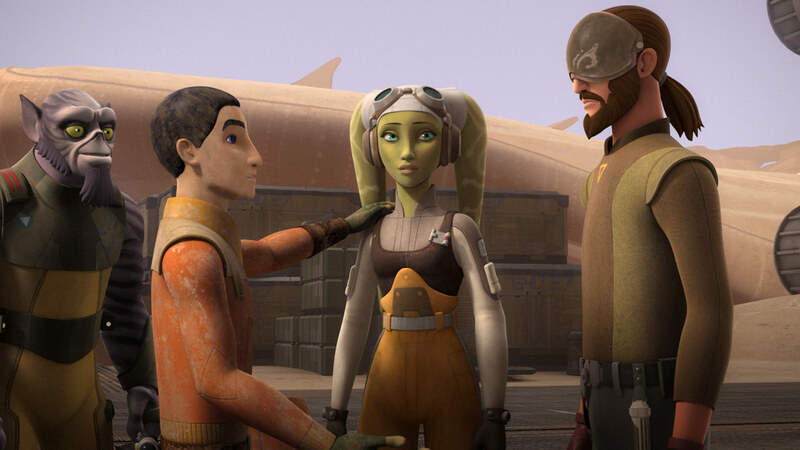 Hera and Kanan both had a parental hand in showing Ezra why standing up for others was a deed worth doing. Hera told Ezra early on that “If all you do is fight for your own life, than your life is worth nothing,” which is a lesson Ezra’s imprisoned parents, Mira and Ephraim, may have very well taught Ezra had they been able. 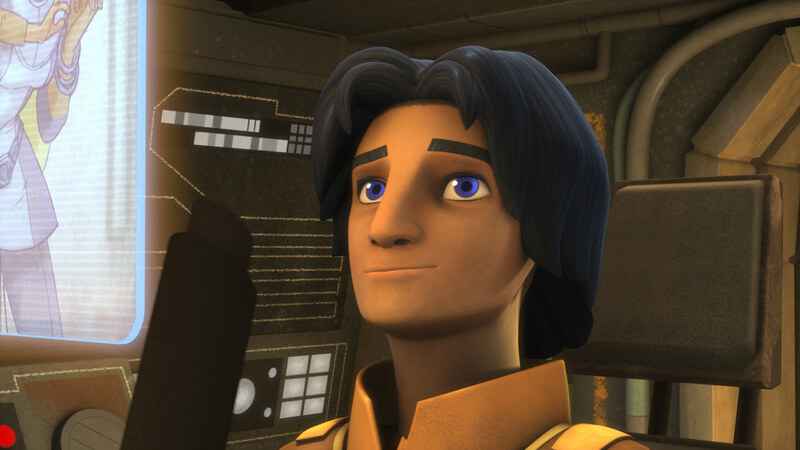 Ezra’s return to Lothal to track down the truth about his family was necessary for him to find emotional closure with his past before he could embrace his future as a Jedi. It also served to bring him closer to his new family. In “Gathering Forces,” Sabine, in a gesture of kindness, gives Ezra an image she was able to extract from a disc from his family home. 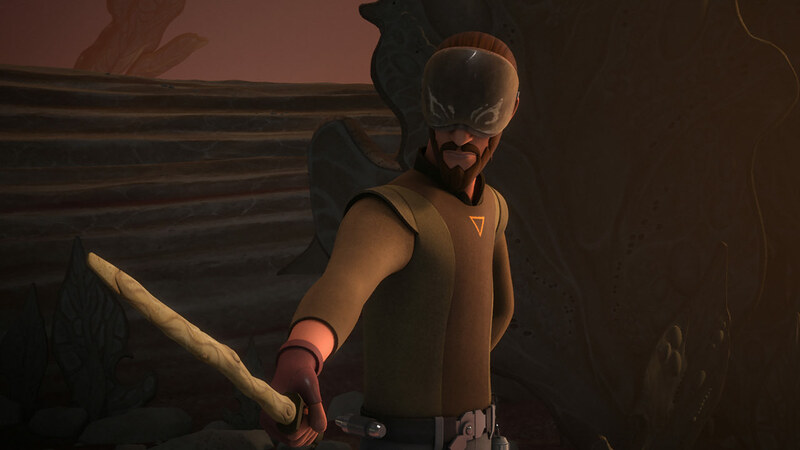 Kanan later helps Ezra to forgive family friend Tseebo for not protecting his parents. Ezra may not be able to rescue his parents from the Empire, but he has a new family to support and guide him as he discovers the sad truth in later episodes that his parents were killed trying to escape the Empire. 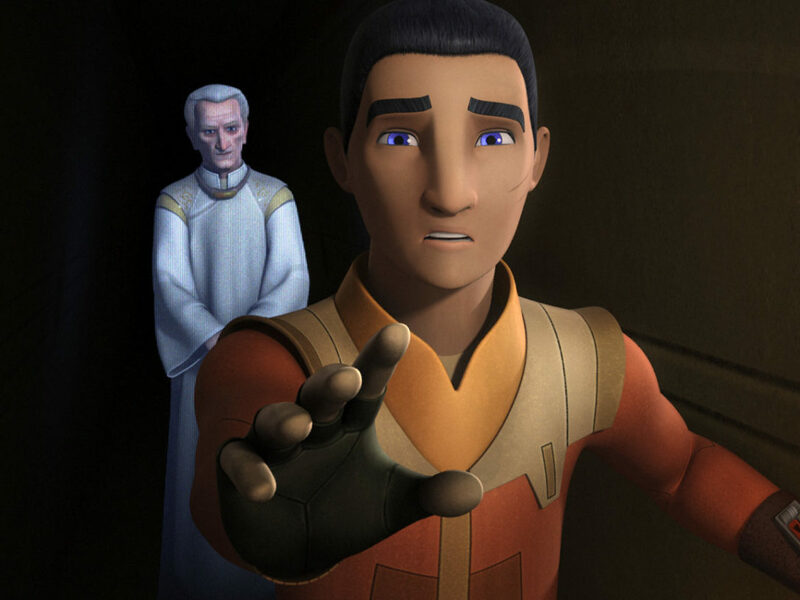 Kanan tells Ezra that he must let go of his own past to become a Jedi and later reveals to Ezra that he never knew his own parents. 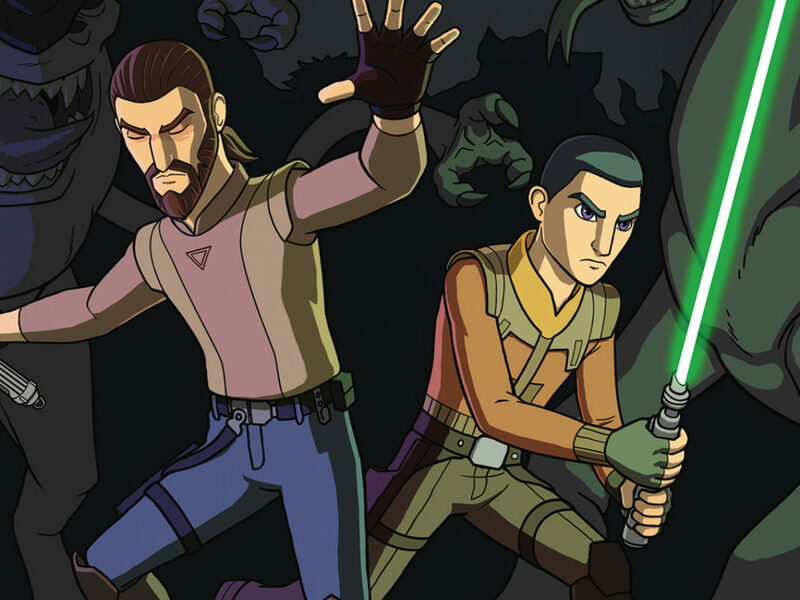 But Kanan has his own reconciling with his past to do in several Star Wars Rebels episodes. Kanan is, in many ways, like an unprepared and insecure parent with Ezra early on. He’s sure Jedi Master Luminara Unduli would do a better job training Ezra than he would in “Rise of the Old Masters,” and is concerned with how fast Ezra’s powers are growing and his own ability to protect the boy from these new powers. Hera helps Kanan realize that he is the one who can best train Ezra and pushes them both to work through their ups and downs as master and apprentice. Kanan’s character is relatable to audiences because even though he is a Jedi, he is still full of self doubt. 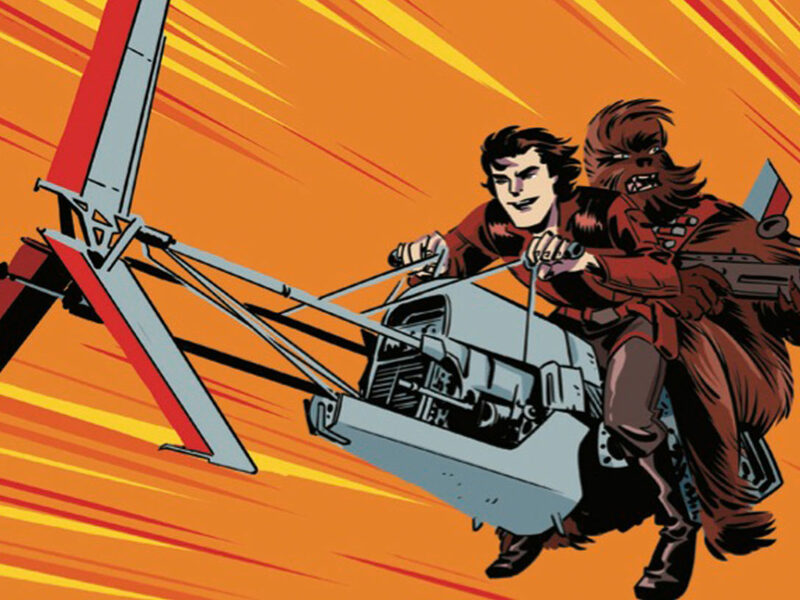 If Kanan had his way at the beginning of Season Two, the Ghost crew would have never joined up with Phoenix Squadron and the larger rebellion. Kanan’s painful past prevents him from seeing the hope that a greater rebellion movement holds. 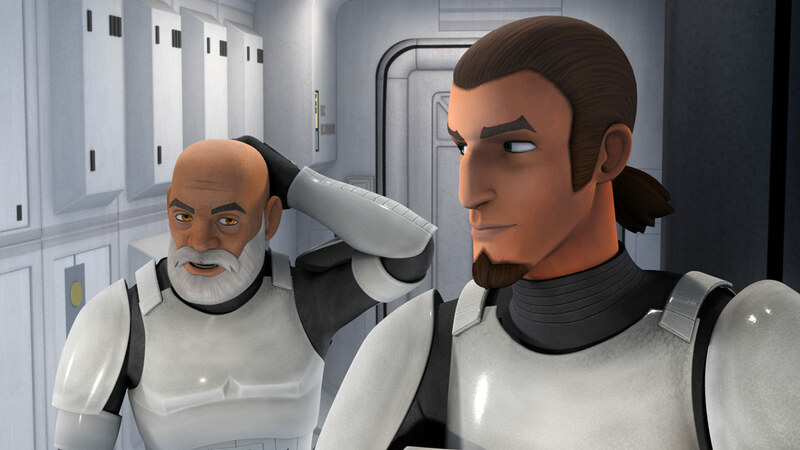 When he struggles to work with Captain Rex because of his memories of Order 66 (and the guilt he feels over surviving it), Kanan’s fellow crew members are there to help him emotionally heal and grow as a Jedi and a friend. Kanan may be the character who is strongest with the Force in Star Wars Rebels, but he is a much more powerful force for good with his Rebels family than he is on his own. 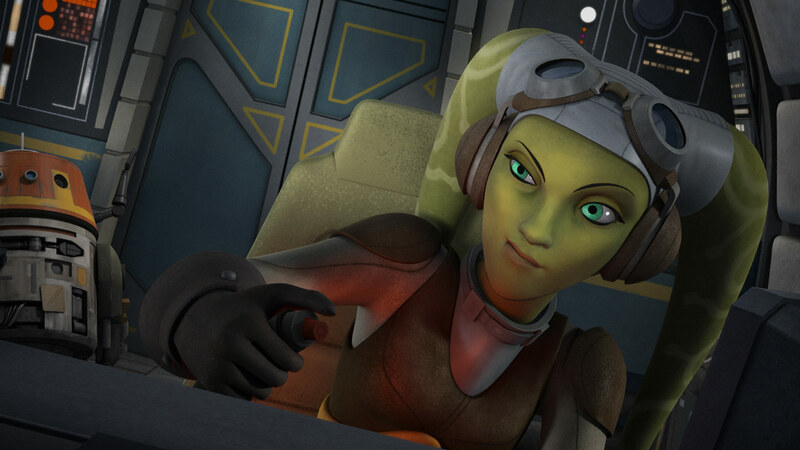 As the pilot of the Ghost, Hera is already in a commanding position, but she’s much more than just a chauffeur in Star Wars Rebels. 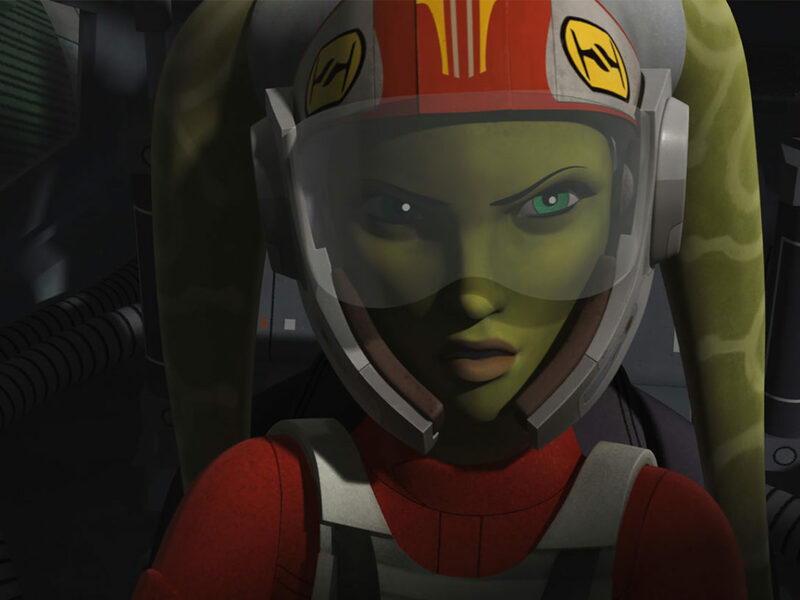 She’s the leader of her crew and a mother figure to Sabine, Ezra, and even Zeb and Chopper. Hera knows how to keep her group on track and moving forward, but even mother figures can struggle when they are confronted with people from their past. 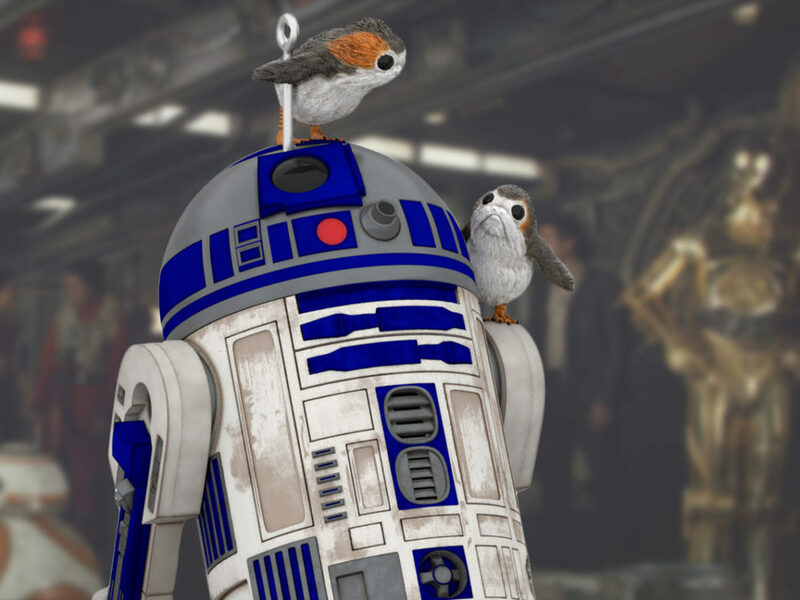 Until the Season Two episode “Homecoming,” Hera appears to be the perfect, selfless hero to audiences — and her fellow crew members. But when Hera is reunited with her father Cham Syndulla, we learn that not everyone approves of Hera’s current fight against the Empire. In this episode we learn that Hera’s relationship with her father has been strained since her mother’s death. While Cham felt all of his energy should be spent freeing their home world of Ryloth, Hera felt the call to join a larger fight against the Empire. 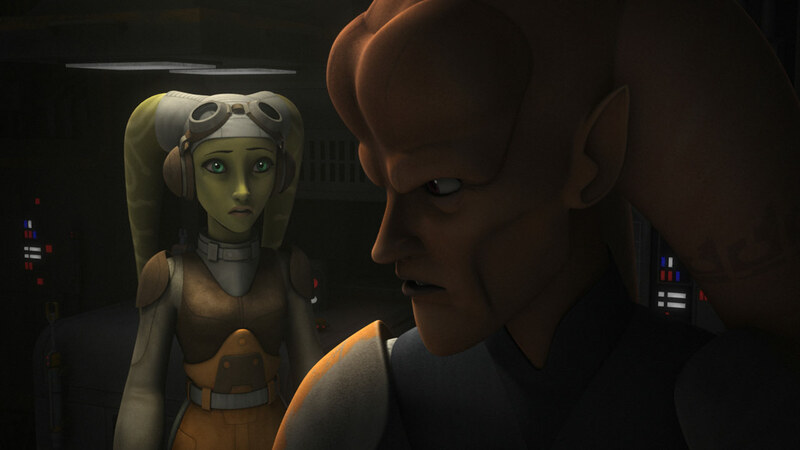 Cham is disappointed in Hera, going so far as to tell her that she wasted her life “for outsiders,” as Hera is similarly disappointed in her father for putting Ryloth’s needs ahead of those of his own family. Zeb is an at-times volatile but always-loyal member of the Ghost crew who sadly has a past full of pain and regret. 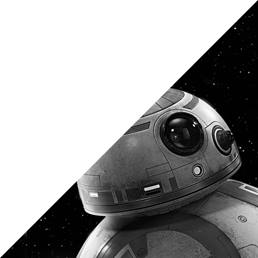 In “Droids in Distress,” we learn that the affable Lastat, who plays an older brother role to Sabine and Ezra, is the last of his kind. The Empire destroyed his homeworld of Lasan, so Zeb’s only choice for a family is one he makes for himself. When Zeb’s past as a captain is revealed (a fact even Hera was unaware of) in “Legends of Lasat,” Ezra is there to support his hurting friend. 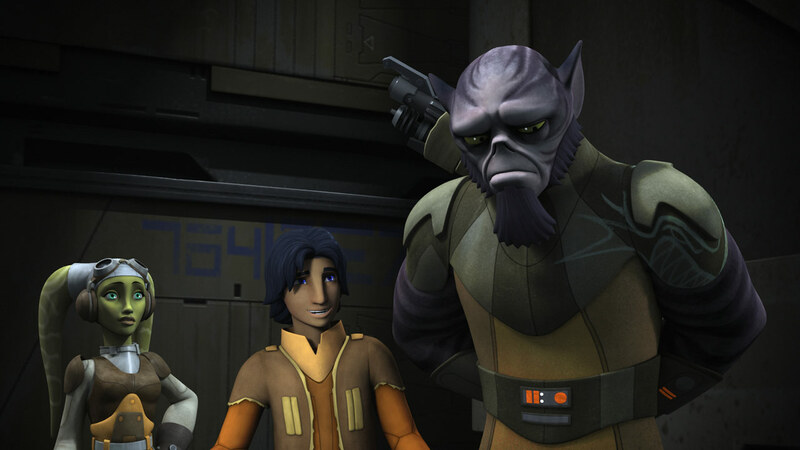 Zeb confides to Ezra about the shame he feels because he believes he failed his own people. Zeb and Ezra have a common bond of losing their families to the Empire and wondering if they could have done more to protect them. So much of Zeb’s screen time is dedicated to comic relief in Star Wars Rebels — it’s striking to see his vulnerable side in a few episodes and the support he receives from his friends. Of all of the characters in Star Wars Rebels, Sabine Wren undertakes perhaps the most powerful journey to face her past. 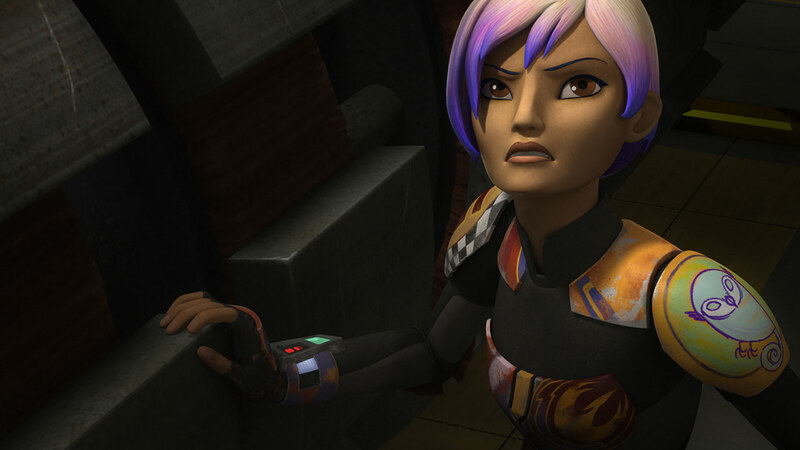 It would be easy to peg Sabine at the beginning of the series as just another rebellious, artistic young person looking to take a stand against authority. But there’s so much more to Sabine. 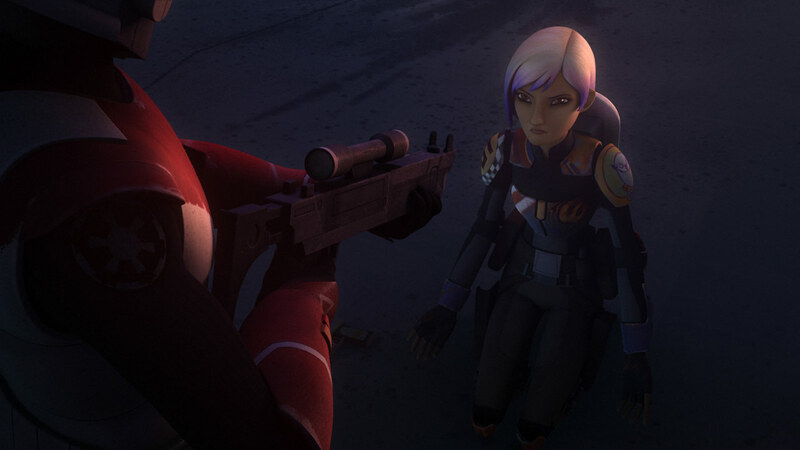 Season Two of Star Wars Rebels dips into Sabine’s past with the episode “Blood Sisters,” where she comes face-to-face with Ketsu Onyo, who broke out of the same Imperial Academy as Sabine. But it’s Sabine’s past with her family and other Mandalorians that bring a greater understanding to the audience and her fellow rebels of just how strong Sabine truly is. Sabine is the only member of the Ghost crew who has not lost the majority (or all) of her family to war, which leads to a number of touching yet complex reunions. Sabine’s rift with her family and other Mandalorian clans is introduced in the storylines of “The Princess of Lothal” and “Imperial Supercommandos.” When Sabine returns to Mandalore to face her past, her family, and her people later on in Season Three, we learn more about Sabine as a person and the family dynamics of the Ghost crew. At the same time, Ezra, who has a sibling-like relationship with Sabine throughout the series, is close to rolling his eyes at the idea of his peer taking on such an important leadership role. 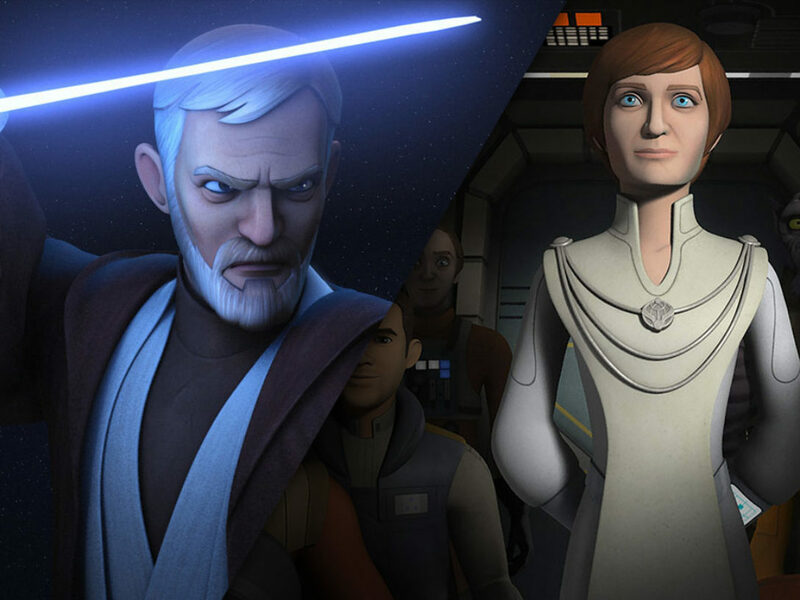 Ezra is quick to change his tune, however, when he later sees Sabine training with the saber, and encourages her to not give up when she’s distraught by the idea of facing her family. Ezra reminds her that even though she has a troubled relationship with her parents, at least she has parents to go home to. Sabine feels guilt for both leaving her clan and for the weapons she developed during her time at the Imperial Academy. Kanan helps her conquer that guilt and to see the truth behind her actions. When Sabine cries out, “I left to save everyone. My mother, father, brother. Everything I did was for family. For Mandalore,” she has grown into a leader worthy of the Darksaber and has earned the loyalty of all those around her. Sabine’s acceptance of herself and then by her fellow Mandalorians, followed by her return to her crew mates when they were in desperate need, showed the strength of Sabine as a warrior and the depth of her bonds to the Ghost crew. Watching all of the Ghost crew members develop relationships with a fledgling rebellion wouldn’t be as meaningful without the moments of individual growth, risk, and love between Hera, Sabine, Kanan, Ezra, and Zeb. 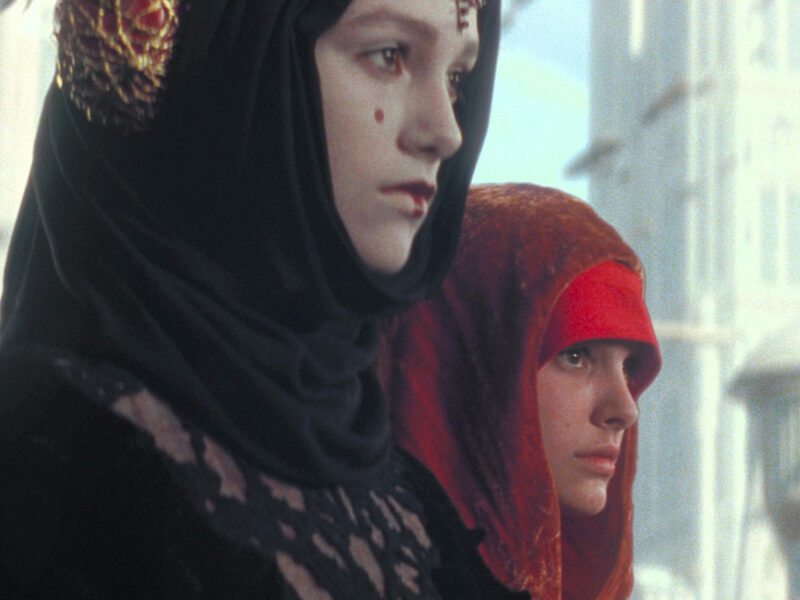 The personal journeys into these characters’ pasts provided fascinating storylines and highlighted the communities that the rebels were fighting for in their war against the Empire.